Salvador, also known as “the Capital of Joy”, boasts beautiful natural landscapes such as the beaches of Itapuã, Artistas and Farol da Barra. Moreover, its colonial architecture and differentiated typical culture is a characteristic that many tourists from within and outside Brazil feel interested in. Local people are called “soteropolitanos” and receive them with much hospitality. In spite of the great flow of foreign people, in the first capital of Brazil there are still neighborhoods where you can feel you belong, and not be just a mere spectator. One of them is Solar do Unhão, where the beautiful colonial houses surprise with its splendour. In this neighborhood, some main attractions are not to be missed, like the exhibits in the Sculpture Park and the Modern Art Museum of Bahia. Your palate will also enjoy the typical Bahian cuisine served in the local restaurants. Salvador has some culinary surprises, like Acarajé and Vatapá, and different its various dishes prepared with typical spices, palm oil and coconut milk. 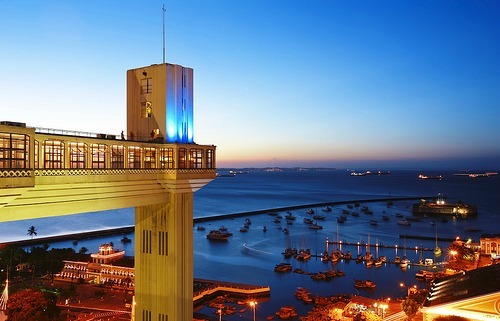 Traditional festivals and celebrations are another of Salvador’s attractions, taking place throughout the year. Being Carnival and Bahia Independence Day the most famous ones, which attract numerous Brazilian and foreign tourists. Check the houses available for renting in Salvador. Check the houses available for selling in Salvador.